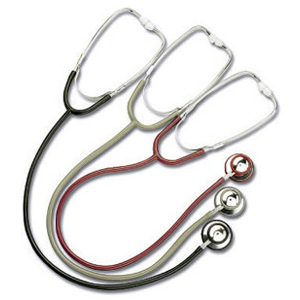 Designed for professional nursing use the CM-4111 is a high quality instrument at a reasonable price. It has an aluminium alloy chest piece with non chill rim and matching PVC Y-tubing. Available in a range different colours. Please specify colour when ordering otherwise default colour supplied will be Black. Designed for professional use the CM-4113 is a high quality instrument at a reasonable price. It has an aluminium alloy dual head chest piece with non chill rim and matching PVC Y-tubing. Available in a range of different colours. Please specify colour when ordering otherwise default colour supplied will be Black. Designed for professional use the CM-4125 is a high quality instrument at a reasonable price. It has an aluminium alloy dual head chest piece with non chill rim and matching PVC Y-tubing. Customised colours are available for large orders. Please enquire about colours when placing an order. 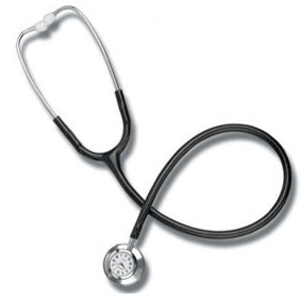 Designed for professional use the CM-4258 Stethoscope features a quality aluminium alloy chest piece, internal spring binaural with an in built clock. It comes with quality black PVC Y-tubing. 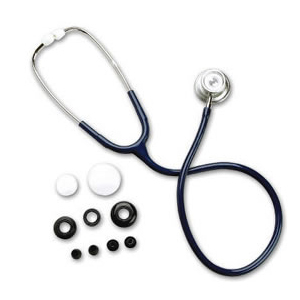 Designed for professional use the CM-4256 Sprague Stethoscope is a high quality instrument. It has a zinc alloy chest piece with one copper stem incorporating internal spring binaural. It comes with premium quality black PVC Y-tubing. It includes a five in one accessory kit and two extra pair of soft ear tips. 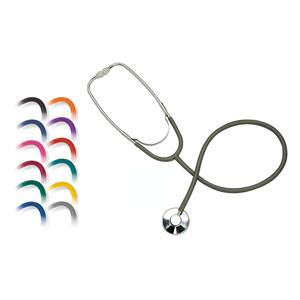 The Add-Tech Premium Stainless Steel Stethoscope is top of the line quality. It comes with a unique solid stainless steel dual head with non-chill rim and high quality membrane. 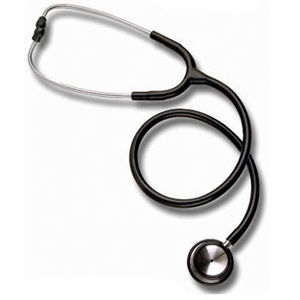 Its uniquely designed binaural thick wall Y-tubing assembly gives faultless acoustic sensitivity and ideal transmission of low frequency sounds for cardiology. The CM-4136 comes with 1 pair of comfortable firm ear tips 1 pair of soft screw on ear tips and 1 spare membrane. 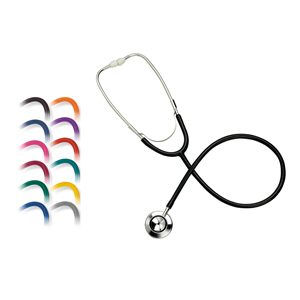 The Premium Doctors stethoscope comes with a 5 year warranty.